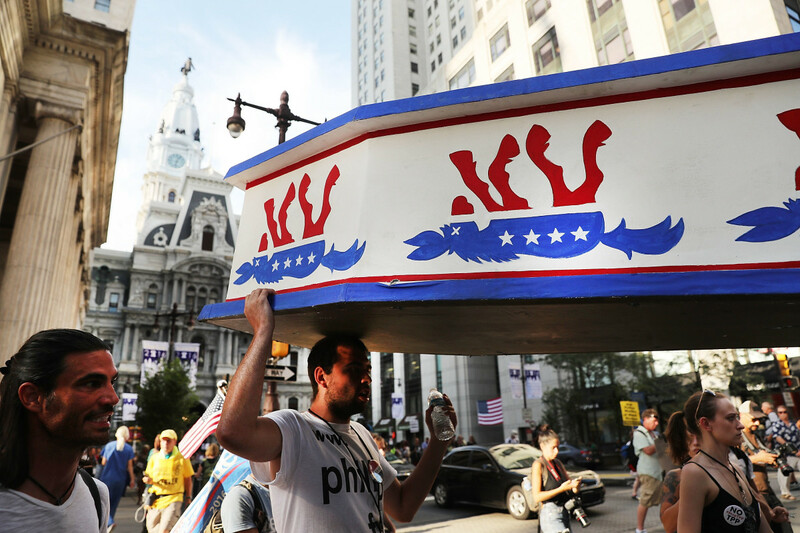 Protesters hold a wooden coffin with an upside down donkey representing the Democratic Party in downtown Philadelphia during the Democratic National Convention on July 26th, 2016, in Philadelphia, Pennsylvania. Democrats are despondent right now. 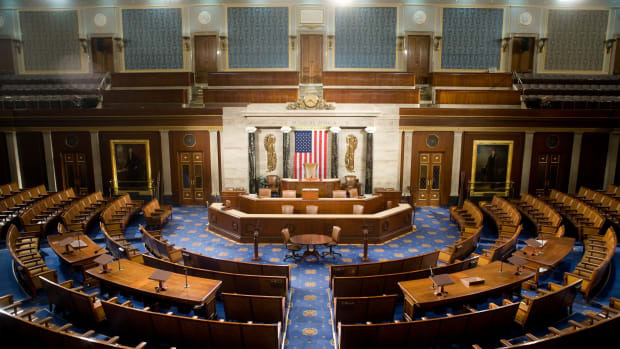 Already in control of the White House and Congress, Republicans are poised to solidify their majority on the Supreme Court, and the Dems are powerless to prevent it. What can they do? David Faris has many suggestions, but they boil down to an attitude: No more Mr. Nice Donkey. Faris argues Democrats have been too passive and accepting of the fundamental unfairness of the American political system. He points to the undemocratic nature of the United States Senate, where one vote in a small state means so much more than one vote in a highly populous one. Or the fact that, in two recent elections—2000 and 2016—a Republican was elected president even though his Democratic opponent won a majority of the vote. Democrats occasionally grouse about this decidedly tilted playing field, but they seldom express outrage—and when they assumed power in 2008, they did little to address the problem. Faris argues they cannot make that mistake again. 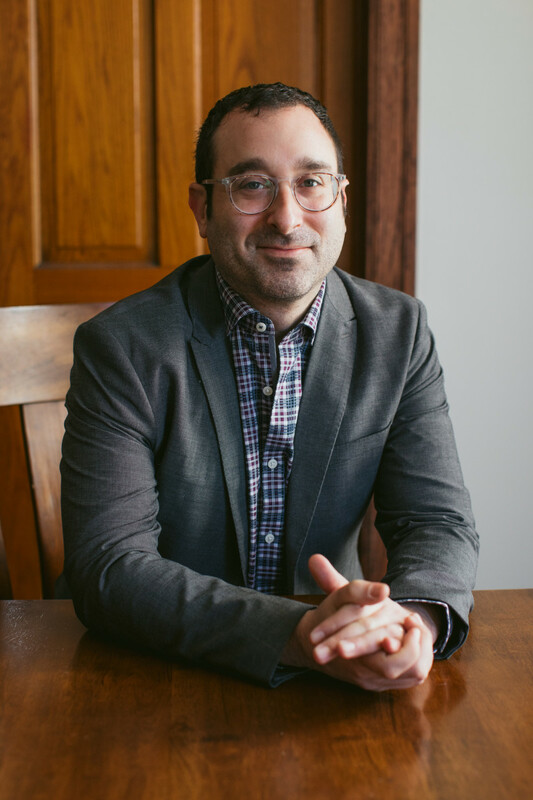 An associate professor of political science at Chicago&apos;s Roosevelt University, Faris is the author of It&apos;s Time to Fight Dirty: How Progressives Can Build a Lasting Majority in American Politics. 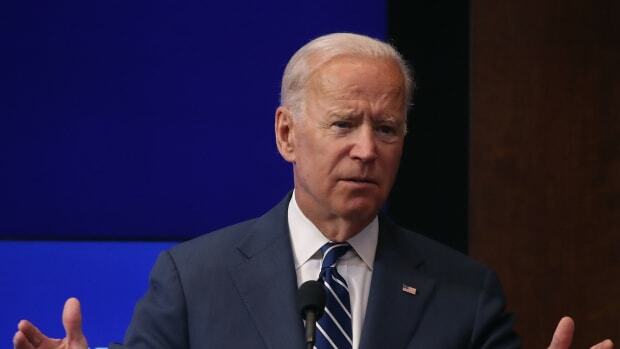 He talked about the Democrats&apos; dilemma, and their potential way forward, in a telephone interview. Democrats aren&apos;t generally known as street fighters. They tend to be open to compromise, to a much greater extent than Republicans. Is that why they are in the powerless position they find themselves today? No, I don&apos;t think the Democrats&apos; pragmatism is directly causally related to them being in the majority right now. 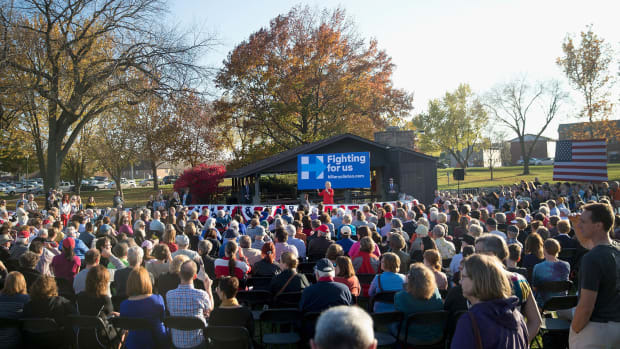 Some of their uninspirational rhetoric and policies contributed to a lack of voter turnout the last two cycles. I think that&apos;s indisputable. But even if the Democrats were saying all the right things to motivate their base, they still have a lot of structural barriers standing in the way of their success. That said, they haven&apos;t taken action to tear down those barriers, or even made it much of a priority. I&apos;m still pretty puzzled that the national party hasn&apos;t made more noise about getting rid of the electoral college. But more than that, I&apos;m angry that, in the 2009–11 period [when they had control of both Congress and the presidency], the Democrats didn&apos;t blow up the filibuster and pass a massive voting reform bill. That would, at the least, have given Barack Obama two more years of control over the House of Representatives. That was a real missed opportunity. Al Gore would have won Florida by 100,000 votes [and thus the presidency in 2000] if Democrats had gotten behind an effort to reverse some of these felony disenfranchisement laws. Past failures aside, the immediate issue is the Supreme Court. Many on the left fear that if we end up with a Supreme Court dominated by conservative ideologues—and Neil Gorsuch seems to fall into that category—its rulings will defy the will of an increasingly socially liberal public. That is a dangerous prospect. It points to one of the design flaws in how we appoint Supreme Court justices. 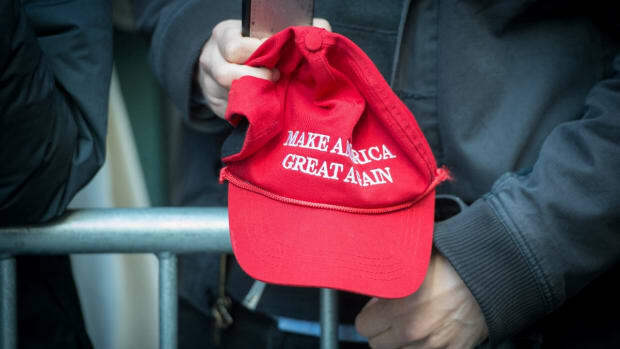 The provision for lifetime tenure creates an opportunity for a long-dead ideological trend to retain a vice grip on American society long after its gone. The last time we saw this was in the 1930s, when the court overturned a series of New Deal laws that had been passed by Congress and signed by Franklin Roosevelt. The court was striking down things the American people really wanted, and using tendentious logic to do it. If Democrats win the presidency and Congress in 2020, we could be in a similar situation. The Supreme Court could uphold challenges to policies like Medicare for all, even if there&apos;s no constitutional basis for it. That would be a real crisis for American democracy. You&apos;d have a Congress and a president with a popular mandate trying to address things like poverty, crime, and structural racism, and they could be thwarted at every turn by the Supreme Court. That&apos;s why I think if the Democrats get back into power in 2020, they need to think about some radical solutions to that problem. You note in your book that Roosevelt&apos;s threat to add new members to the court apparently led several conservative justices to see the wisdom—or at least the constitutionality—of some of his policies. That won&apos;t happen again. These are much more ideologically minded judges. They&apos;re part of a long-term project to take back the court. The life dream of someone like Gorsuch is to dismantle the New Deal. Beyond the court, you offer some practical proposals for how the Democrats can dig themselves out of their current hole. Which are the most important? Some are pretty feasible in the first year of a Democratic administration and Congress; others will take some time. Statehood for the District of Columbia and Puerto Rico is a no-brainer. It&apos;s just a matter of passing a law through Congress. And it&apos;s the right thing to do. You have several million birthright citizens of the United States who have no voting representation in Congress. We saw the consequences of not having to answer to Puerto Rico this past year with the inept response to Hurricane Maria. That would be a hardball move for the Democrats, because it would add four senators and seven or eight members of Congress, who would probably all be Democrats. If Democrats had done this in 2009, they would be holding the Senate right now, and Donald Trump wouldn&apos;t be filling anything. Democrats have a real structural disadvantage in the Senate. There are probably 30 Republican-leaning states and 20 Democratic-leading states. By global standards, it&apos;s an extraordinarily malapportioned legislative body. The 38 million people of California have two senators, as do the 700,000 people of Wyoming! I don&apos;t know how you justify that. I suspect many Americans would feel queasy about adding new states specifically to help one party. A lot of those Rocky Mountain states were deliberately created by Republicans in the late 19th century to cement their advantage in the Senate. Creating new states to press your partisan advantage is a time-honored tradition in American politics. You also argue there&apos;s a need for stronger voting-rights laws, and for a national Election Day holiday to give more people the opportunity to vote. Yes. 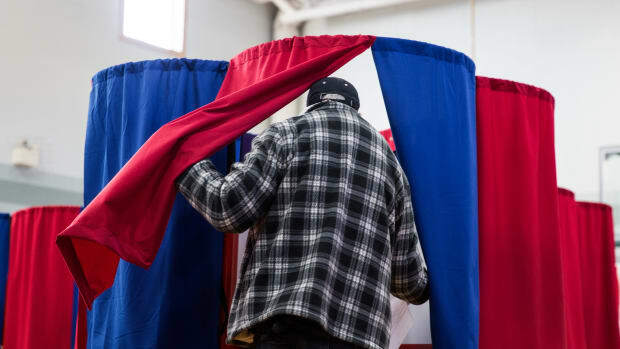 One of the biggest problems right now are voter ID laws, which significantly drive down minority turnout and definitely cost Hillary Clinton the election in Wisconsin, if not elsewhere. We could also have automatic voter registration—creating an opt-out system rather than our current opt-in one, where people have to navigate a complex bureaucracy in order to do something as simple and basic as voting. 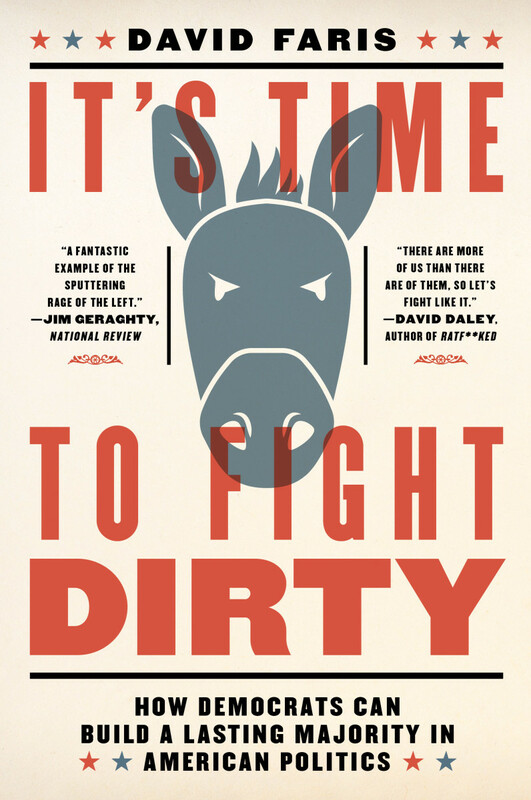 It&apos;s Time to Fight Dirty: How Democrats Can Build a Lasting Majority in American Politics. All that could be accomplished with national legislation, which could be done in a month or two if they prioritized it. Doing that as a package would deliver millions of votes to the Democratic Party. It&apos;s also the right thing to do. The Republican Party is the only major political party in the world that I&apos;m aware of that has preventing people from voting as one of its primary objectives. That&apos;s just crazy. If the Democrats don&apos;t do this (the next time they take control) they will get thrown out of power in two years without getting very much done. They&apos;re going to have to mimic Republicans by escalating a procedural war, including eliminating the filibuster in the Senate. It&apos;s benefiting Democrats right now on the margins, but in the long run, it&apos;s not good for Democracy. The voters send majorities to D.C. and then see them not accomplishing anything because of this rule. California Senator Kamala Harris over the weekend called for more mass demonstrations in opposition to Trump administration policies. When are such protests effective, and when are they not? Mass demonstrations can be worthwhile in building solidarity. But I don&apos;t feel they have been very effective during this administration. Demonstrations that have targeted particular members of Congress, such as speaking up at town halls or placing pressure on [Maine Senator] Susan Collins during the health-care vote, have been more effective. Demonstrations where people seize public space and refuse to give it up until they get what they want have proven to be the most effective mass use of protest power, but I don&apos;t think we&apos;re there yet. 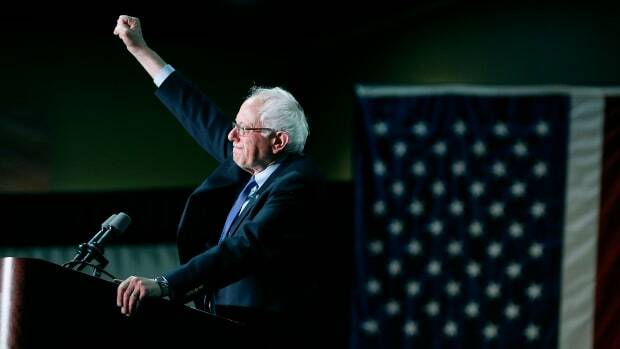 Finally, where do you stand on the issue of revving up the base vs. reaching out to swing voters, if any still exist? The consensus in political science right now is that elections are won and lost by turning out people who support you, but don&apos;t always vote. Barack Obama lost independents in 2016, but still won re-election. There&apos;s a good argument to be made that Democrats lost in 2016 because of a lack of enthusiasm among casual Democratic voters, who ended up voting third-party or staying home. I suspect a Supreme Court ruling effectively outlawing abortion in much of the nation would inspire a lot of people to vote. Yes, I think this is a real danger for Republicans in 2020. There are things the court could do that would drive Democratic turnout to levels we haven&apos;t seen in 80 years. And Republicans are acting so recklessly right now that they&apos;re inviting massive retaliation the next time Democrats are in power. How Doomed Are the Democrats? This isn't the first time a party's eulogy has been written prematurely.